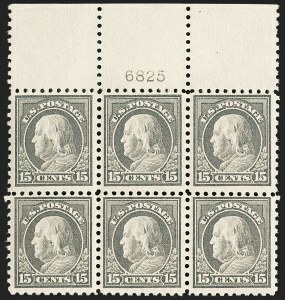 In 1914, six years into production of the Washington-Franklin series, the perforations were altered to gauge 10 on all sides. 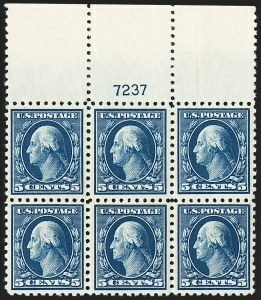 The change was made in response to complaints from postmasters and users that the Perf 12 stamps separated too easily, a problem encountered on earlier coil stamps. 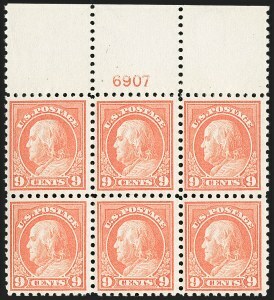 The weakened and separated sheets made it difficult for local postmasters to properly account for stock, and businesses lost time putting stamps on parcels when multiples fell apart. 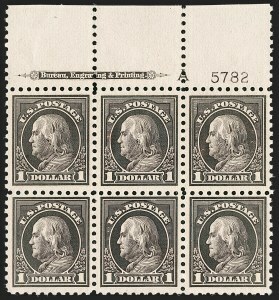 The Bureau had previously experimented with Perf 8.5 stamps for coils to resolve the same problem. 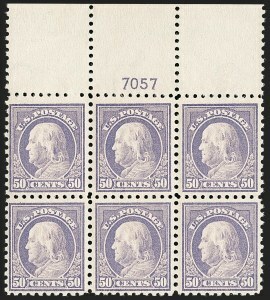 These were found to be too hard to separate, so the Bureau settled on Perf 10 for the new gauge. 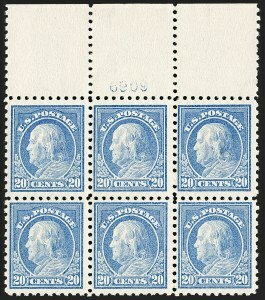 Johl notes that the first machine was set to gauge 10 on September 4, 1914, and that the last machine was set on November 4 of the same year. 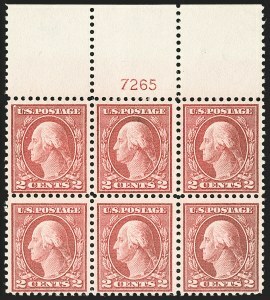 Lewis Kaufman records only twelve top and six bottom plate blocks available to collectors (excluding the top position in the Miller collection owned by The New York Public Library). 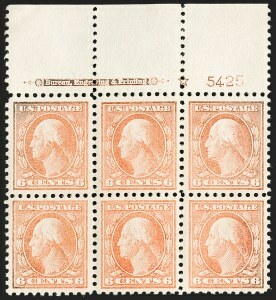 Plate 5782 was the only plate prepared for each of the $1.00 Franklin issues (Scott 423, 460, 478 and 518).